Emory’s Cheryl Williams, RD, LD, clinical nutritionist for the Emory Heart & Vascular Center and Emory HeartWise Cardiac Risk Reduction Program, says you should make it a priority to know your cholesterol levels and learn how what you eat can impact cholesterol and your heartâ€™s health. Since diets high in saturated fat and trans fat have been linked to chronic disease, specifically, heart disease, this knowledge could save your life. During National Cholesterol Month Williams notes in her blog for the Atlanta Journal-Constitution’s “Doctor Is In” that eating too many fatty foods â€“ especially those high in saturated fat and trans fat â€“ is the primary cause of high cholesterol. Thin, active people may not be aware of how much bad fat they consume, she says. According to Williams, “Saturated fats are derived primarily from animal products and are known to raise cholesterol levels. They are found in common foods like butter, cheese, whole milk, pork and red meat. Lower-fat versions of these foods usually contain saturated fats, but typically in smaller quantities than the regular versions. Certain plant oils, like palm and coconut oils, are another source of saturated fats. You may not use these oils when you cook, but they are often added to commercially baked foods, such as cookies, cakes, doughnuts and pies. 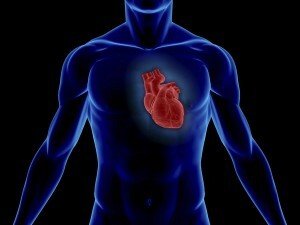 For more tips from Williams about managing for healthy cholesterol levels, visit ajc.com. To learn more about heart disease from Laurence Sperling MD, director of the Emory HeartWise Cardiac Risk Reduction Program, watch videos on health.com.